Official Unveiling Coming Very Soon! So far - the posts here have been a little bit of a test. I've just been feeling out what to post and how long each post should be. The real work begins very soon. Watch for the Grand Unveiling of the official Money Smart Students program in the week ahead. Then get ready to spread the word!! 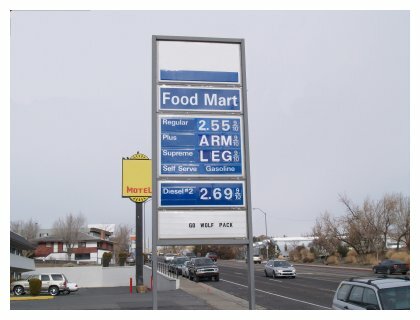 It Costs Alot to Fill a Car These Days!! Save yourself a lot of wasted money through unnecessary bank service fees. Only use an ATM from your home bank/credit union. You won't get double-dinged with the extra service charge from the other 'host' institution as well as your own ATM fee. If there isn't a 'home bank ATM' available - make sure to plan ahead and get cashback when you make a debit purchase at a business which offers this service...ie WalMart. No extra charges at all and it doesn't count as an ATM transaction if your banking plan keeps track. Avoid those no-name ATM's wherever possible. They could have fees as high as $5 -$7 dollars depending on the size of the withdrawal. Tracking where you take out your money will help you be Ready for the Real World! Borrow Only What You Need! With enough planning and hard work (and time) anyone can put themselves through college without having to take out a student loan. Sometimes, though, there is a need to supplement your education savings through borrowing. They key is to only borrow what you will NEED to cover your expenses - not what you WANT because there's a great deal on Spring Break trips. In fact, borrow less than what you'll need and keep working and saving to the best of your ability to make up the difference. The more you borrow - the more you will have to pay back. Who wants to be paying off one wild trip to Florida or Mexico 5, or even 10 years later, because you used student loan money to pay for it? Borrow only what you absolutely have to in order to cover expenses - and you'll be staying on the path of being ready for the real world! Setting yourself up on a budget is nothing more than telling your money where it is going. Want money in your pocket - put it in the budget. Want one night out a week - plan for it in your budget. It's just a matter of planning out exactly where you're gong to spend your dough - and balancing the income with the out-go. There are a number of different ways to do your budgeting and there are lots of resources online to help you put your budget on paper. We'll cover a couple in a future post. The main thing is you have to know where your money is going before you can figure out if you're going to have enough money at the end of the month..instead of too much month at the end of the money. Make a budget - and stay Ready for the Real World! It's going to happen! An emergency or event will come up and you won't have the money to pay for it. Your laptop needs repairs - something has happened at home and you need to travel on super short notice - or you get caught speeding and get a nice little fine. Some emergencies are avoidable - some are not. They're still going to happen. The best way to turn emergencies into little inconveniences is to have an Emergency Fund so you can take care of it. As a student, you don't need $2,000 or $5,000 in your EF - an amount closer to $300-500 should be sufficient to start. Save up $50 or $75 per paycheque, if you have a job - or put away money received as gifts - or take part of your 'allowance' if you're already away at school to seed the fund the first time. Once you have the money saved, put it somewhere where you can't get to it instantly - but could get to it with a days notice or so. Give it to a trustworthy adult to hold - put it in a savings account which is NOT linked to any bank cards. Put it somewhere - but not in the back of the sock drawer - partying with your friends is NOT an emergency!! Having even a small Emergency Fund to help take care of those 'situations' which are bound to pop up will take away a lot of money worries. If there is one point I will be emphasizing over and over again here - and in my presentations - it will be that students must educate themselves when it comes to money issues. I know this website and program won't answer every question - or give every single piece of advice there is out there about money. Students need to do some research into what's available on the web - websites, blogs, worksheets - get your hands on everything you can. At the same time - not everyone out there is giving good advice. Please be careful and do your homework before you make any big money decisions that could ultimately affect you for years to come. 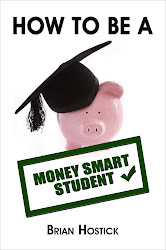 Please check out our 'Money Smart Students' Facebook page and join our community - then pass it on to your friends as well. Thanks for visiting - see you soon!